Experience In French Tutoring: She worked two years in Northampton School for Girls as a French Language Assistant. During and since this time, she also provided French tuition through Language Schools and private French lessons for students and adults. Tutoring Style: Isabelle focuses on the speaking french to enable students to have the skills to use the language effectively, while integrating grammar, vocabulary, writing and reading. She uses a wide variety of documents (images, dialogues, flash-cards,...), either on printed sheets or interactively. When appropriate, she likes to use sound materials as it is a good way to get familiar with the sounds and intonations of the language. Generally it is best for students to come to the tutor where a quiet environment can be provided but lessons can be provided also at your home/office in or around Hartlepool and Seaton Carew. 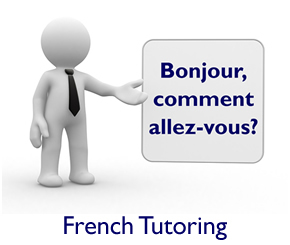 Alternatively, an online French tutoring service is available, please click here. For online French tuition lessons please click here. French lessons are charged on an hourly basis for both PERSONAL TUTORING in Hartlepool or ONLINE TUTORING via Skype. The prices above DO NOT include Travel Costs in and around Hartlepool and Seaton Carew.